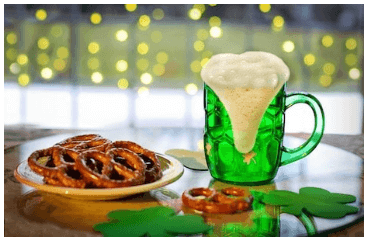 PROMOTE AND EXECUTE YOUR CLIENT APPRECIATION EVENTS? How long has it been that you’ve had the thought to host an event for your clients? You have this amazing idea and yet you cannot seem to make it come together. What if there was a program that laid out all of the details and helped you to gain clarity for why you are hosting your event. What if you had a timeline that spelled out exactly what you need to do in order to have a successful event. Would that be of value? 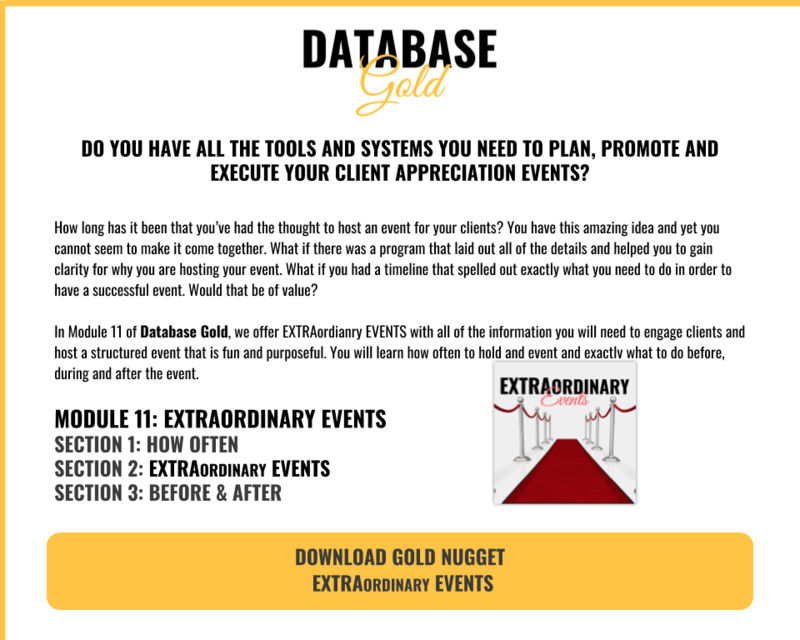 In Module 11 of Database Gold, we offer EXTRAordianry EVENTS with all of the information you will need to engage clients and host a structured event that is fun and purposeful. You will learn how often to hold and event and exactly what to do before, during and after the event.